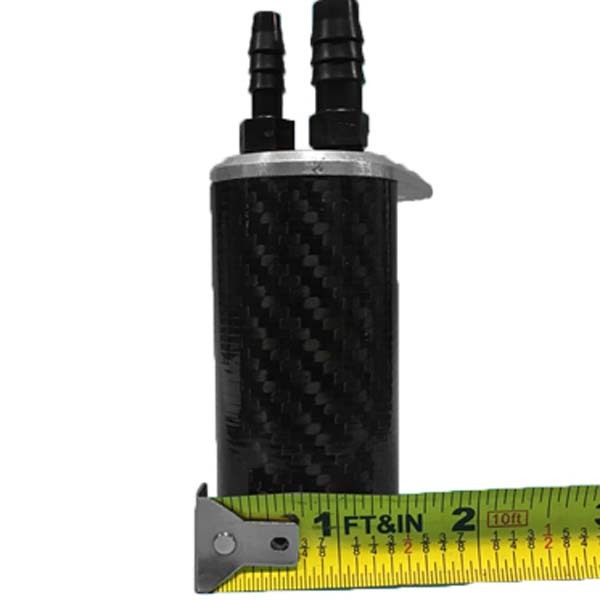 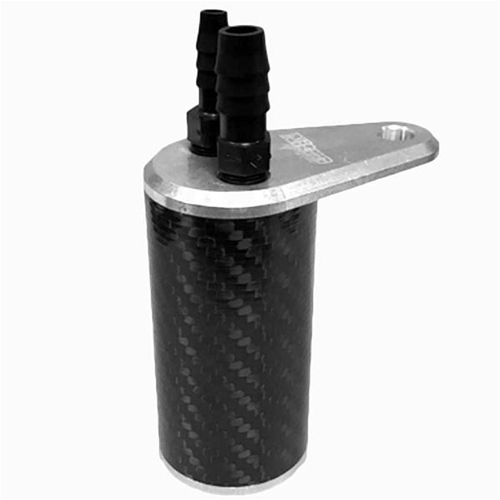 Ultra light-weight 100% genuine carbon fiber (and aluminum) catch can. 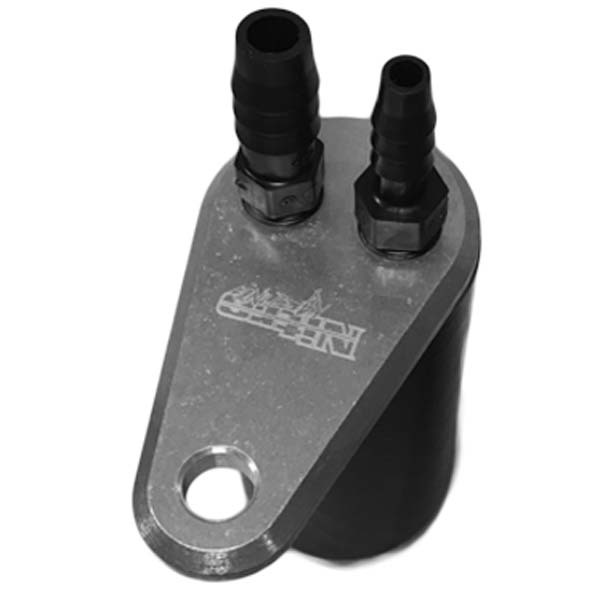 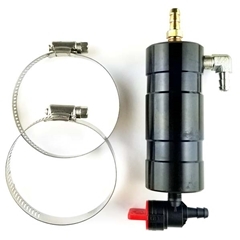 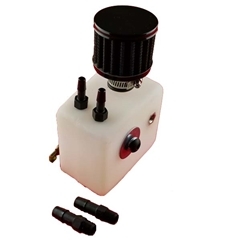 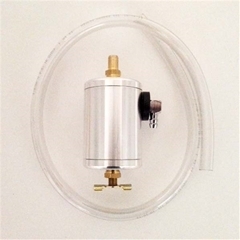 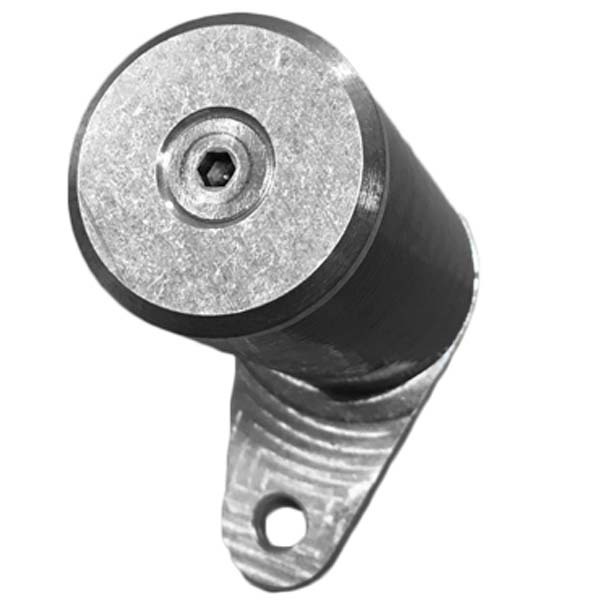 This small can is best for clone engines and mounts to the right rear motor mount stud (on top of the engine). 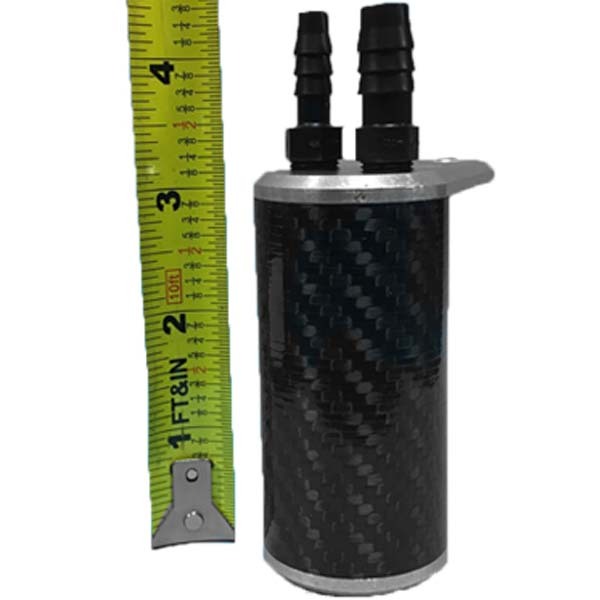 Weighing in at only 2.7 oz fully assembled, this catch can weighs 1/4 of the amount of our fully aluminum (and bulkier) catch can.